Held earlier this month, The Songwriters of North America (SONA) hosted their 4th Annual “Songwriter State of the Union” songwriter summit “SONA Does D.C. (And So Can You)” which included featured speakers Congressmember Ted Deutch, songwriters Justin Tranter, and MoZella among other special guests. SONA is a California-based grassroots advocacy organization fighting for songwriters’ rights. The Songwriter Summit will discuss the state of the songwriter, advocacy in a digital age and the Music Modernization Act (MMA) in hopes of mobilizing songwriters ahead of the MMA vote in the U.S. Senate. The MMA, which works to protect and promote music creation in the 21st century, recently passed unanimously through the House of Representatives and was heard by the Senate Judiciary Committee. The legislation was introduced by several representatives that included Representative Ted Deutch (D-Fla.). 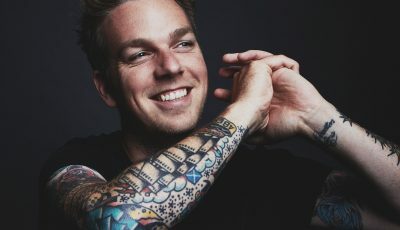 The Summit will take place days before a vote will take place in the Senate and will feature call-to-actions for songwriters ahead of the impending decision issued by many, including well-known songwriters, Justin Tranter and MoZella. The Summit will discuss how, created in the 1940s, today’s music copyright laws are antiquated. Based on a system passed prior to digital streaming services, like Spotify and Pandora, existed, songwriters are rarely compensated fairly for their creations. Follow the conversation using #SongwriterSummit, #WeAreSona, and #GetTheRateRight. Thanks for your time, Michelle! Where does this interview find you now? What’s on tap for the rest of your day? Hi! I’m in New York this week for ASCAP board meetings and to see my friend, neighbor and personal hero, Allee Willis, get inducted into the Songwriter Hall of Fame on Thursday night! Its nighttime here now, but today I had the second day of board meetings and then I ran down 51st street to speak on a panel hosted by the AIMP (Association of Independent Music Publishers) on the US State of the Songwriter. 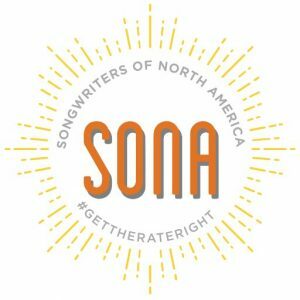 Can you tell our readers a little about the formation of SONA, Songwriters of North America and how/why it was first created? Despite being spread out all over the place and professionally competitive with one another, the songwriting community in Los Angeles is pretty tight knit. We are collaborative by nature, so we write with artists, producers and with each other all the time, and become close that way. Around three years ago, when we individually noticed that our royalty statements were dwindling, some friends and I began comparing notes. We were working as hard as ever, our music was getting placed and heard, but the amounts we were getting paid was mysteriously decreasing. Turns out, Kay and I were the first songwriters to show up. Dina told us, “Those digital service companies have been eating your lunch. And you songwriters have just been letting them.” And then she proceeded to school us on the main reasons that we had ended up with the short end of the stick – the 75-year old consent decrees that oversee how and how much ASCAP and BMI get paid, loopholes and protections for tech companies written into copyright law that had not been updated since Napster, the iPod and YouTube! Along with other outdated provisions in the Digital Millennium Copyright Act – passed in 1998 – which had no way to allow for digital streaming back then. At the end of the meeting, our jaws were on the floor and we said, “we have to tell our friends!” Dina laid down the gauntlet “How many friends can we tell?” I said a hundred. She booked a place and we began to gather our writer friends. That’s where we started, with our friends. And it grew organically from there. When did you first get involved with SONA? Specifically, what is your role in it all? What is a typical day like for you? I’ve been involved with SONA from its inception and I’m now the Executive Director. While I technically run SONA, we have an active board I call the Super 8, who are all full-time songwriters and composers and yet manage to respond to my panicked texts. A typical day would start with getting my kid ready for school. Then some kind of conference call related to the pending legislation. THEN, my writing partner (still Kay!) comes over and we write a song for whatever script and show we’re working on that week. On days we’re not writing, we’re recording. When Kay leaves, I answer emails and work on more SONA stuff. At this point, it feels like running a company – only it’s a non-profit and everyone who works there is a volunteer. How do you think everything that you have done prior to your work with SONA has prepared you for this role? Songwriters are sole proprietors… the smallest of small businesses, where the product getting made is a song. But creating the song is just one part of the business: there’s hustling for opportunities, building collaborative relationships both on the creative and business sides, staying up to date with production technology, marketing and selling your work, and then finally, getting paid for it! 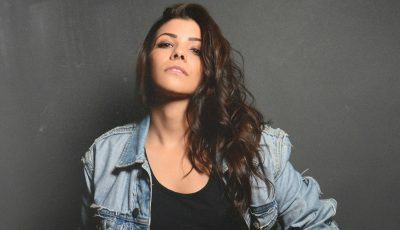 I’ve had to learn all these other skill sets which go far beyond coming up with the perfect lyric to the perfect melody. All of that follow through and self-discipline I’ve had to teach myself have made co-founding and running an organization like SONA possible. Also I’m pretty bossy. And it turns out, I’m good at talking about policy. Who knew?!?! What was it like putting together and organizing the latest event that was held a couple weeks ago? 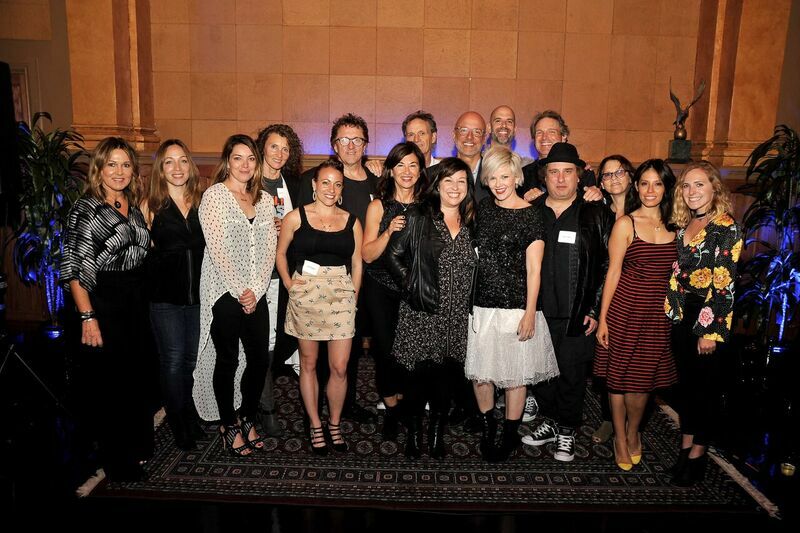 How did the 4thAnnual Songwriter Summit go on June 3rd? This was our fourth one and every year I think it feels like preparing for my bat mitzvah. You do ALL this work, ALL this preparation and have ALL this drama leading up to it, and then in one evening, it’s over. This one topped all of the ones we’ve held so far. 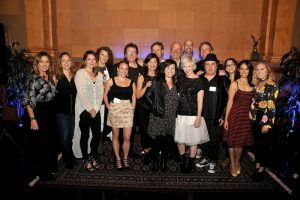 We had over 200 songwriters there and raised a bunch of money at our silent auction. How do you think this summit has gotten bigger and better each year? What about the organization itself? What sort of changes have you seen first-hand develop from it all? Our mission from the beginning has been “to widen the circle of informed songwriters.” That’s what the first Summit was about – telling our friends. And that’s what keeps happening. We tell our friends and our friends tell their friends. And to those friends for whom this resonates as a cause, it’s a pretty easy sell. The second part of that mission is for those informed songwriters “to advocate for themselves.” So the Summit is about getting as many songwriters in the room as possible, arming them with the information they need to advocate for themselves, and the inspiring and motivating them to do it. Even though SONA has tripled its membership in the past year, we’re still relatively small. And so, our influence in DC far outweighs our numbers and our funding. We need to catch up! I think that this year, the Summit reached the point where it can evolve from one annual event to two, and split the focus of each. One event can be the fundraiser and performance and the other can be the informational meeting/rally and membership drive. The past three Summits have tried to accomplish all those things in one night. It’s overwhelming. How did you go about selecting Parkland, Florida Congressmember Ted Deutch to be featured? What about the 2018 Pop Songwriter of the Year Justin Tranter and “Wrecking Ball” singer Mozella? Shelly and Adam met Congressman Deutch on one of SONA’s first official walk-the-halls trips (which was actually just Shelly and Adam visiting their daughter at Georgetown and adding two extra days to their trip – that’s how we roll). He was amazingly engaging and supportive. He was one of the first co-sponsors of the House version of the bill once it was introduced and has continued to be just as supportive, despite getting thrust into the national spotlight in February when there was a mass shooting at Stoneman Douglas Highschool, which is in Congressman Deutch’s district. He’s a hero to those high school students and a hero to us. We asked Justin because he has been so outspoken and effective on many important issues and we wanted him to bring that to his own community. Once he realized the clear injustice that was happening, he was immediately on board. Mozella has been an amazing advocate for songwriters for a while now and has shown up on behalf of ASCAP and NARAS. She knows her stuff and we thought she would bring that experience to the panel. How do you think that the role of the songwriter has grown over the years? What still needs to change and what advancement have been made over the last few years? The role is the same, it’s the job that has changed. Songwriters still fill the same role as the world’s storytellers/shamans. They can capture time and emotions and create sense memories out of thin air which last for a lifetime. It’s pretty magical. The job, however, is becoming more and more difficult to get paid to do. 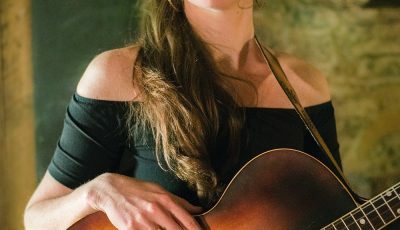 Since songwriting is something most of us would do regardless, that spirit has been taken advantage of by industries which have benefitted from devaluing creative work. So music creators have had to diversify… doing many different jobs to make a living, instead of just focusing on their craft. What is it about the position that you have with SONA that gives you the most joy? Working with friends who are as nerdy about this stuff as I am. The inner circle of SONA is smart, engaged and deeply committed to fixing this! Is there anything else that you would like to share about the recent summit or SONA in general? Each year gets bigger and better! An Interview With The Country Rocker, JUSTIN FABUS, On His Debut Album, ‘Remedy,’ and More!